Developer Laughing Jackal is apparently really into zombies and explosions, judging by its new PSP Mini title, OMG-Z. And who isn't, really? 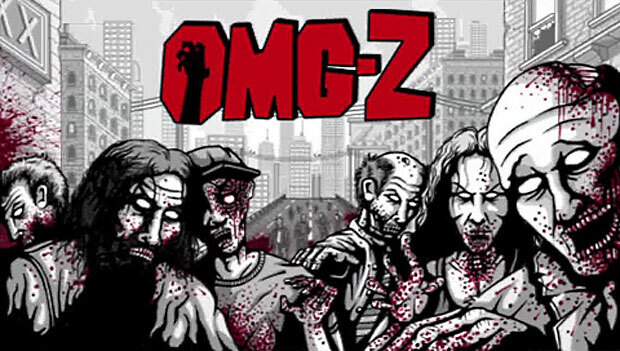 The premise of OMG-Z is simple: zombies have infested the world, and it's your job as as the zombie killin' police to clean up the mess. Gameplay has you moving a reticle across a stage, firing a limited number of bullets at zombies that can explode (among other things), causing chain reactions and bathing the screen in blood. Set against stark, black and white sprite visuals (inspired by The Walking Dead comic series and Platinum Games' MadWorld), things get messy. OMG-Z is available right now, but only for PlayStation Plus subscribers, who can actually get it for free. The game will be available in two weeks for everyone else to purchased for $2.99. Based on the few levels I've played, it's a fun, messy little game. If you're a PS Plus subscriber, you've got nothing to lose giving it a try.